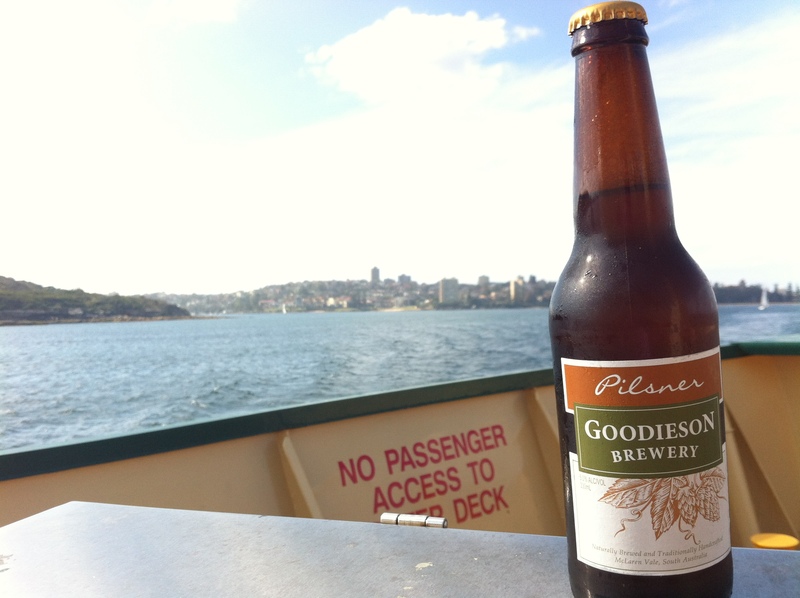 This BotF correspondent travelled to the Australian Beer Festival yesterday, naturally by ferry. Far more about the Festival in a future post, but we took the opportunity to try a new one on the way. It was quite strange experience being out the back of the ferry heading into the city. The back of the ferry heading into the city is a far less welcoming space, with the majority of the stern cut off. 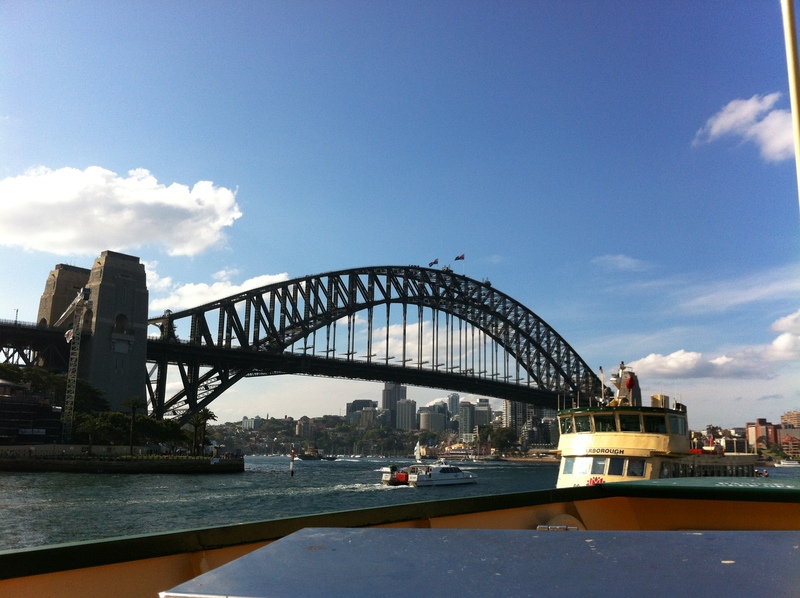 Still, we assumed a position and enjoyed some warm sunshine and a different perspective of Sydney Harbour. I picked up a stubbie of Goodieson Pilsner from a bottlo in Richmond. Investigation of Goodieson Brewery‘s website tells you that this isn’t available in NSW yet – but this is a beer to look out for if you are in SA or Victoria. Goodieson Brewery is a classic “living the dream” story. 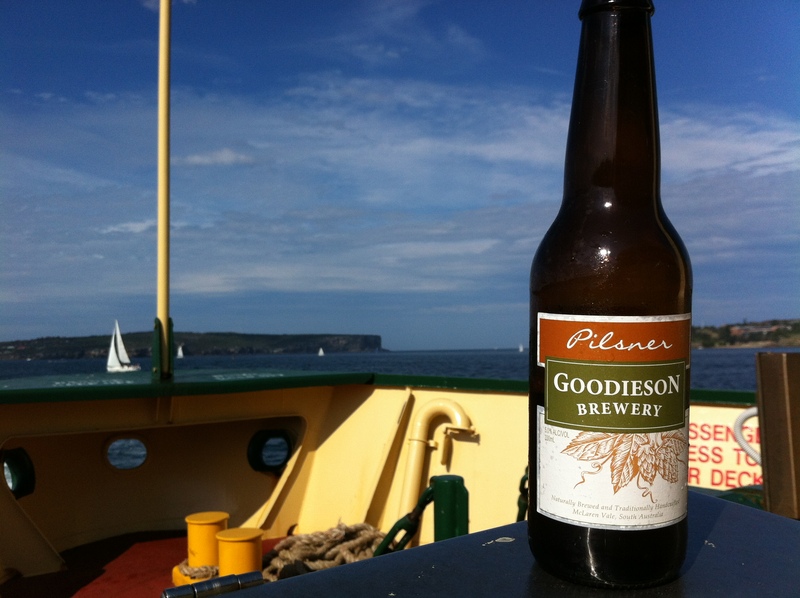 Mr and Mrs Goodieson (and sprogs) were living and working in Sydney for a big brewer. They “tossed it all” and moved to McLaren Vale to set up a brewery, which they did in January 2010. With McLaren Vale Beer being a couple of K’s away – there’s now a beer crawl possible whilst everyone goes wine hunting. There’s a picture of what looks like a great place to sit with an assortment of Goodieson beer. There’s 4 varieties – Pilsner, Pale Ale, Wheat and Stout. The formula is pretty straight-forward – “Natural Ingredients, Traditional Techniques and No Preservatives or Additives.” The Pilsner hit the spot on what was getting to be a pretty warm day. Crisp and flavoursome, without being a face slapper. A case in summer – yes, please.